Sometimes fires can start in the strangest of ways. 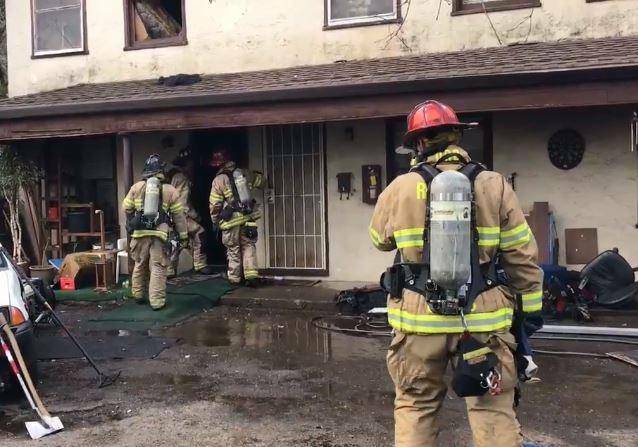 Take this case in Redding, Northern California, USA where a house fire was started by a spider. On Sunday Jan 7th 2018, fireman were called to tackle a fire at an apartment block. The fireman battled with flames for 20 minutes before successfully extinguishing them. But when the firemen investigated the cause of the fire they heard a bizarre tale. The apartment owner had discovered a spider in his apartment, not liking spiders, he decided to kill it. It was a huge wolf spider, so instead of sending it to spider heaven with a wack of a large book or stamp of his shoe, he decided to kill it by incinerating it with a torch lighter. He set fire to the spider. The spider, now ablaze, scurries across the room onto a mattress which then catches alight. The man manages to put out the mattress fire but, by now, the fire has spread to his collection of flags. And very quickly on to his whole apartment. The apartment destroyed by fire caused by a spider. In all, the spider fire caused $11,000 worth of damage. Local fire department chief, Gerry Gray, confirmed to the BBC the fire had taken place in an apartment block, “The information regarding the ‘spider’ was presented by civilian witnesses, at the scene of the fire, and is certainly part of our investigation,” Mr Gray said. In more arsonist animal news, researchers have recorded incidents of birds of prey deliberately starting bush fires to catch fleeing animals.